Community Health Network reorganization. The executive team has reorganized to make sure that Community is focused on our core: providing excellent patient care. Flu policy – it’s mandatory! Don’t forget, everyone on the Community team must be immunized by November 30, or get an approved exemption for medical or religious reasons. Those who have not done so face termination after November 30. Connecting to Community Care. It has long been our aim to make care as easy and convenient to access as possible. It’s why we opened 12 Community Clinic at Walgreens locations this summer. But there are a lot of choices and now we’re helping patients easily pinpoint just the right one for their care, where and when they need it. Connect to Care is simple – it’s a call to a single phone number – 317-621-2727 – not for clinical advice but for help choosing the most appropriate option for care. Monthly newsletters. This month, we’re sharing the Pain Management newsletter. Click below to read it. Results sent to patients via MyChart. The timing of testing results released to MyChart for pathology and radiology will change from 14 days to 7 days, effective October 31. Review the September Update for more details. Make sure you also notice updates on Dragon, Haiku (mobile Epic app), and Epic in the September Update. Interim President of CPN. Robin Ledyard, MD, MPH, has been named interim president of CPN effective September 1. As you know, I recently moved into the role of chief physician executive for Community Health Network, which created an opportunity to seek new leadership for Community Physician Network. The CPN board recently approved a leadership transition plan, which allows me to share with you that Robin Ledyard, MD, MPH, has been named interim president of CPN, effective today, September 1, 2017. 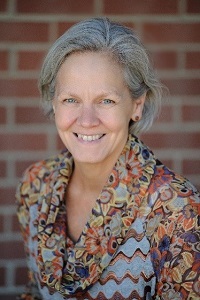 Robin started with Community Health Network in 1995 as family medicine residency faculty at the Community Hospital East residency. She became the director in 1999. In 2007, Robin was part of the team to open the Jane Pauley Community Health Center and, in 2009, she became the president of Community East. In 2013, she joined CPN as senior vice president of specialty care and has been a part of the team to help transform patient care and physician culture within CPN. Robin is a graduate of the Indiana University School of Medicine and completed her residency in family medicine at Michigan State University where she was chief resident. She completed her Master’s in Public Health at the IU school of medicine in 2001. Robin is married to Tom Ledyard, MD, who is a CPN provider and Medical Director of Home Care, Hospice and Palliative Medicine. A formal posting seeking candidates for the permanent president role will be sent next week to all CPN physicians as well as the medical staffs of all Community Health Network hospitals. I appreciate Robin’s willingness to take on this responsibility and help guide CPN toward its future. Please join me in congratulating Robin on her appointment! PICU now open. A four-bed pediatric intensive care unit (PICU) is now available at Community Hospital North inside the pediatric unit. Staffed by Riley-trained physicians, the collaboration brings the expertise and care of a children’s hospital to Community patients.